An excerpt from Duncan Steel’s article on the NZ Aerospace Challenge. Duncan is from our supporting partner, Xerra (formerly known as Centre for Space Science Technology). Now, the above frames were essentially showing ‘true-colour’ images (red/green/blue) made up from data collected in the visible spectrum. In fact there are many wavelengths of electromagnetic radiation that our eyes cannot detect directly, and yet we can operate sensors on satellites that will pick them up. 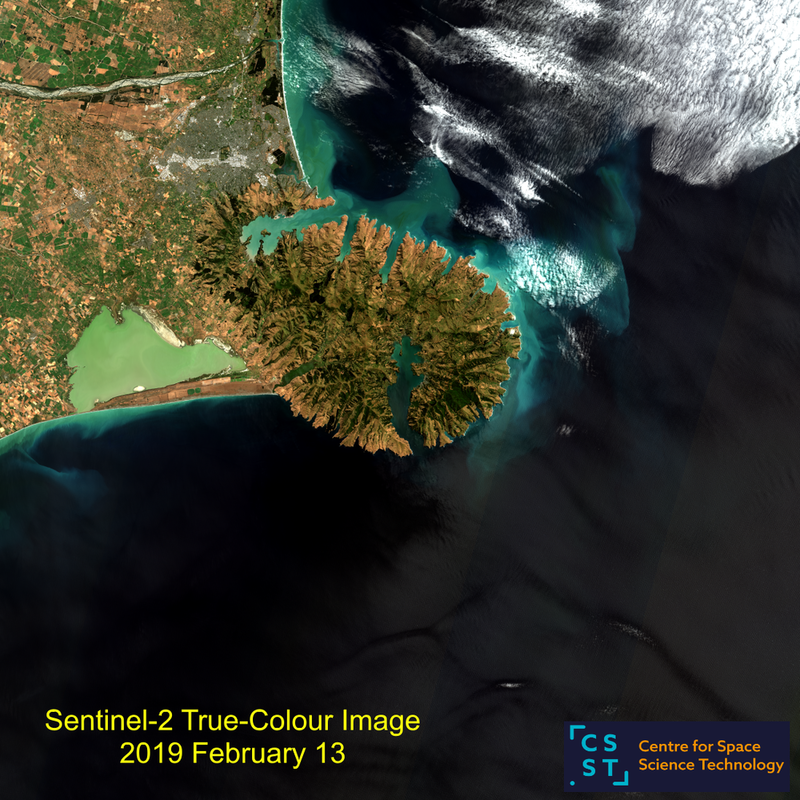 The Sentinel-2 satellites (there are two of them, A and B, covering the whole globe every five days) have a capability to collect images covering 13 different bands, across the visible and then out into the near infrared (IR) and thence the short-wave IR. At right is a full set, greyscales indicating the intensity in each band. It is obvious that the fluxes depend heavily on the wavelength, with Lake Ellesmere appearing bright at the blue end of the spectrum (i.e. it reflects a lot of blue sunlight) but dark in the IR. A rather different type of measurement that satellites can assist in making is the elevation above sea-level of points beneath. We call this ‘terrain’ data, and often data files are labelled as ‘DEM’ (digital elevation model). Following is a graphic showing terrain data obtained using three different satellites: one radar (carried on the Space Shuttle) and two using optical methods whereby pairs of images can be cross-correlated and the parallax measured can be interpreted to deliver DEM data (just as your two eyes enable you to determine depths and distances).